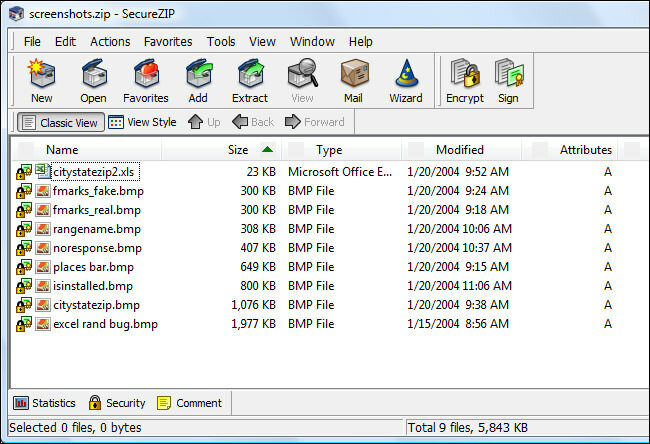 Found 2 file extension associations related to SecureZIP and 2 file formats developed specifically for use with SecureZIP. SecureZIP combines ZIP compression and strong encryption to deliver a data-centric security solution. It helps organizations address their daily data security challenges, including protecting sensitive data, meeting compliance requirements, and reducing overall costs and operational overhead. SecureZIP is available on all major enterprise computing platforms. If you need more information please contact the developers of SecureZIP (PKWARE, Inc.), or check out their product website.